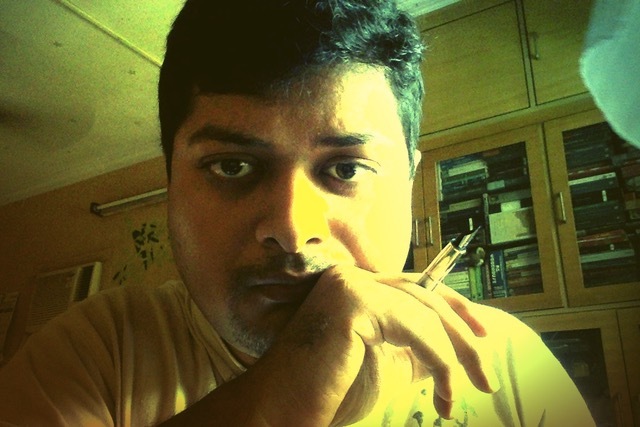 Today on 'On Writing' I am bringing to you an editor, Kunal Nachane, who manages a very popular Online magazine Telegram which aims at bringing out quality fiction and non-fiction writing. Welcome to 'On Writing', Kunal! When did the first issue of Telegram come out? What was the thought behind the creation of this digital magazine? Telegram has been around since mid-2016. Our first issue came out in July of that year. 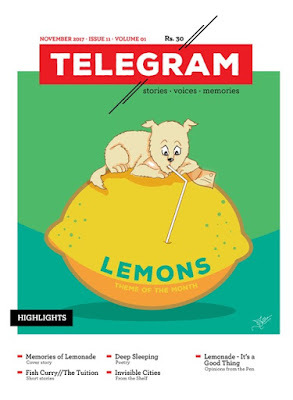 The thought process behind Telegram was a desire to bring forth, or one might say, bring back the culture of the literary magazine which has for some time been missing from the Indian scene, at least in English, though we believe there are some very admirable regional-language publications in this space. 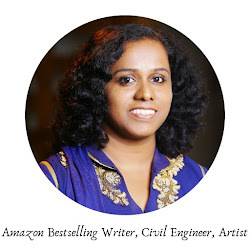 We wanted to showcase voices that are otherwise lacking an audience and bring out quality fiction and non-fiction writing in the process; to inculcate a culture of reading and writing both from the classics and from modern fiction. But most of all we aim to put out a magazine that a reader should both enjoy and find mentally stimulating. You have described Telegram as ‘a literary magazine which aims to rekindle the flames of quality Indian fiction’. Do you stick to a theme every month? We do have a theme for each month’s issue, which we mention as a part of our call-out for submissions. It is not so much a definitive theme as it is a ‘guidance’, the idea being more to stimulate potential contributors to write a new work. What makes Telegram stand out amongst other digital magazines? Our unflinching focus on quality over quantity is something that we feel gives us an edge over some of the other digital magazines in the English language. We have, from the beginning, been very clear that we would rather not publish a particular issue than publish whatever comes our way. The quest for quality is why we haven’t diluted our magazine with paid advertisements till date. If and when we do run ads, we want to ensure that they represent offerings that we, as a magazine, actually endorse to our readers. We also believe in providing our writers with constructive feedback. Rejection letters are a part of the game for any emerging writer, but to have someone tell exactly why an entry was rejected and what is missing or can be improved on can really help those serious about it in refining their craft and becoming better storytellers. Some pretty good writers that routinely submit to us have had their first stories rejected, but they still persevered because they trusted us as editors, took our feedback on board, and worked on writing better stories. What do you not need when it comes to article/story submissions? We like an article to be coherent if it is non-fiction and both coherent and entertaining if it is fiction. By ‘entertaining’ we do not mean the content needs to be ‘light’. In fact, a lot of the pieces we carry, deal with serious, socially-relevant subjects. What we mean is that there should be something that makes the story worth reading. Someone is spending five minutes reading that story; you have to make it good enough to justify their time. Or to put it in a single sentence: Don’t be boring! What's your day like as an editor? We try to keep engaged on social media with our audience. Our first newsletter should be going out shortly, and we are always trying to share interesting articles related to the world of literature through our Facebook page. Aside from this we read and respond to the submissions we receive, as well as work on editorial content. As the content comes close to finalization, the designer works on creating her magic to make the final outcome clean, aesthetically pleasing, and easy-to-read. What happens to the rejected articles or stories? Do you give reasons as to why the story/article cannot be published? We try to provide a reason for not accepting a story, sometimes going into pretty specific details. However, that is not always possible when there are a lot of submissions and we may not have the time to provide individual feedback on them. We still try to give as helpful a feedback as possible, instead of sending a run-of-the-mill rejection letter. Who are the target readers of Telegram? Anyone who likes reading quality short-form literature and content about the literary world should be able to enjoy Telegram. Do you write some of the content for the magazine yourself? Yes, each issue has an editorial and often a cover story written by one of the editors. In fact, the cover story for our latest issue – November 2017 – has been written by me! Do you run any writing contest at the magazine? As of now, we have not run any contests, but it is something we are considering for the future. Keep writing. It is like exercising a muscle – the more you write, the better you will get at it. Take feedback in the right spirit. Listening to and learning from rejections and criticism is an essential part of the writing process. There is no substitute for reading. Read to challenge yourself, question your assumptions and beliefs, and your writing will blossom, along with your worldview. Aspiring writers, do submit your works to Telegram and become a published writer. Readers, subscribe to Telegram to read quality fiction and non-fiction on various interesting themes every month. Thank you for reading, Ushasri! Very nice interview! with dedicated editors like Kunal Nachane the magazine will definitely reach new horizon each issue! Yes. I am sure they will. Thank you for reading, Dr. Sheetal. Nice Interview. I Really appreciate your work. 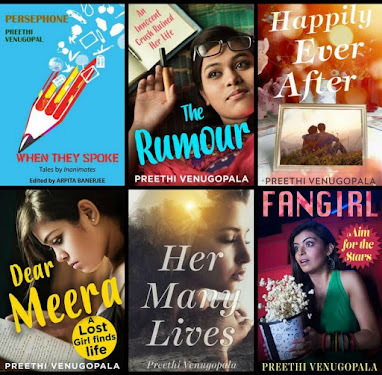 Thank you Preethi for introducing so many opportunities for nonfiction writers like me. I always want to write for magazines or newspaper. All the best Kunal for starting this venture with no compromise on quality content and give a voice to literature. 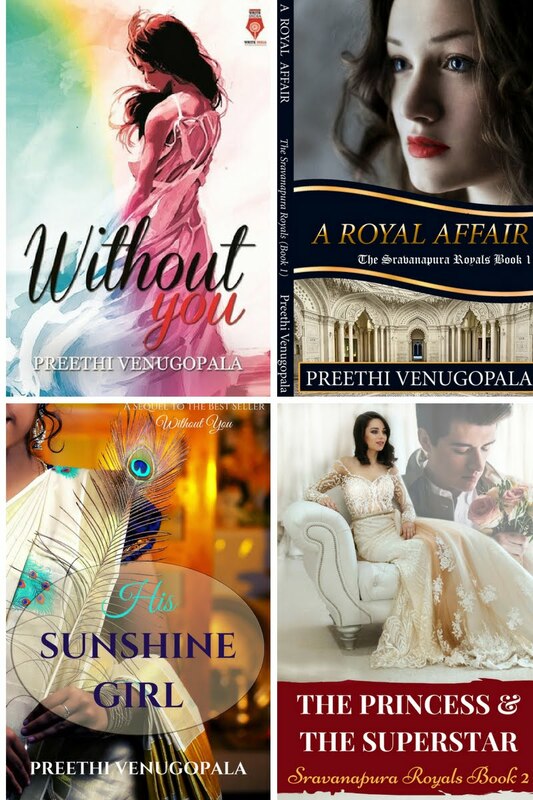 You are doing such a fab job Preethi in showcasing such commendable work by authors.